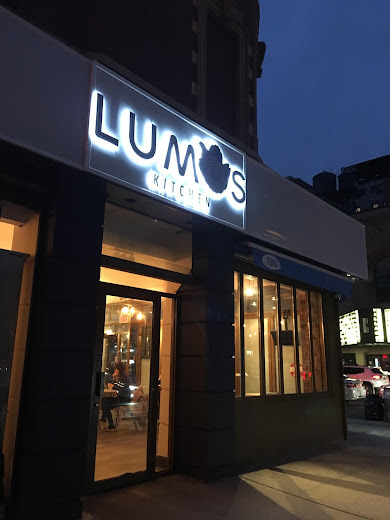 Per the restaurant's website: "Lumos Kitchen is proud to bring the best modern Chinese to you, our customers. Our signature baiju cocktails will also be making a splash into our menu." Lumos was previously (until April 2017) a cocktail bar on West Houston Street between Thompson Street and LaGuardia Place. As New York magazine noted, "Lumos ... is likely the only [bar] in America that specializes in baijiu, the ancient Chinese liquor that's probably the most surprising, divisive thing you can drink in the whole city." Perhaps Lumos Kitchen will add some stability to the corner. 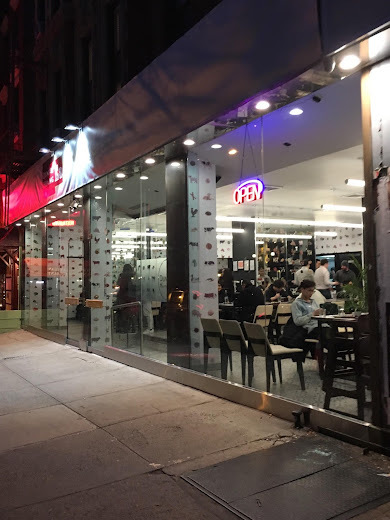 Three restaurants — Hot Pot Central, DumplingGuo and Dumpling Go — all came and went since March 2015. This is the fifth location for the owners. You can check out their menu here. The address, 300 E. 12th St., was previously Angelica Kitchen, which closed almost one year ago to the day. So many new businesses (chains) favor the brightly lit, glass facade which make them look like they are in an airport instead of on an actual urban street. This place is huge and will look empty even when half full due to its fish tank transparency. I prefer something more cozy prefer to no be on display to all passersby. The light coming from Dunhuang is blinding. It's like you are on display eating in there. So now we have a destination for the Chinese version of SantaCon. That’s just great. Seriously, what the hell is going on with this explosion of specialty Chinese restaurants lately?! I agree with Anon. 10:04, just a small, dark, local place like the old Jade Mountain, with an altar to the ancestors, those tiny, thick white porcelain cups full of that hot tea you couldn't get anywhere else, a huge menu with tons of choices for any kind of appetite, and the final gesture of stale fortune cookies and a cut-up orange. Dunno yet about Lumos, but I can say with certainty that there's not a thing on the Dunhuang menu that appeals to me. I agree with 10:04 and 10:43, bring back those old-style Empire Szechuan Balcony Hunan Happy Family Garden Paradise restaurants with the fish tanks full of bright giant orange goldfish, and the piping hot metal teapots, where when you wanted a refill you just opened the lid and they would bring you a new one, for free. The only alcohol you need to enjoy Chinese food is a nice cold bottle of Tsingtao beer. The prices at Lumos are not neighborhood-friendly, IMO. If I'm going to spend that kind of money to eat out, that's not where I'll be doing it. Ditto w/ Anon 1:33. I walked by on Fri night and looked at the menu: entrees are starting at $23 and short ribs were $42. Seriously? 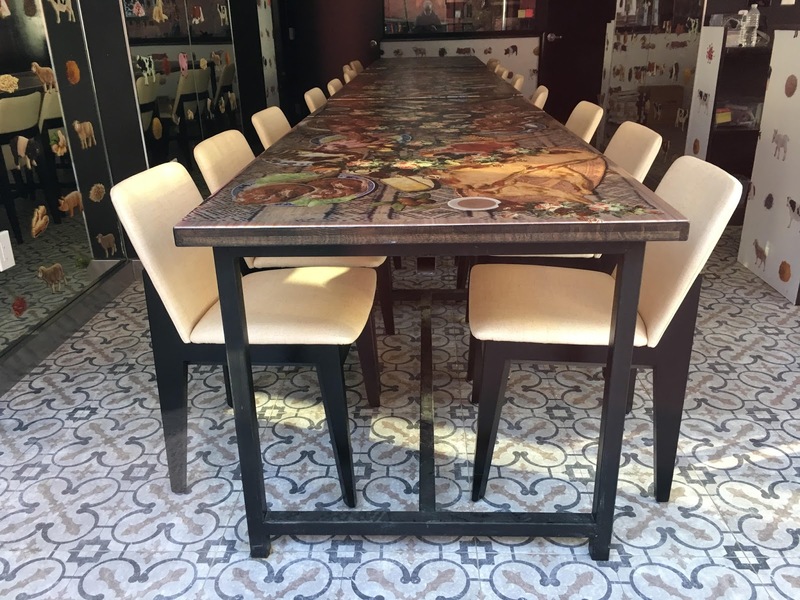 And for that you get to sit at Formica tables in a place that looks a school cafeteria...and be on display with their vast windows. But I guess it’s in line with Yuan, where stir fried vegetables with beef is $18. @2:21pm: Yeah, I won't be eating at Yuan either! I wish both of these owners the best of luck. We need successful non corporate chain small businesses on 2nd Ave. We are all interconnected . We feed off each other. When one of us goes down it directly effects all of us. Worse when the replacement is a chain shop. Good luck guys. I want Moo Goo Gai Pan served on Blue Willow china plates. And I want to hear the stories about the doomed lovers shown on the plates. And combination plates, one from column A, two from column B. And leaky teapots. And crispy noodles with sweet and sour sauce. I want to sit with a bunch of friends and read the fortunes out loud and after each one add "...in bed." I am old school.